Improved job routing - With just a mouse-click or tap, your dispatchers can immediately see which driver is closest to a given destination. This allows for more efficient job scheduling. Rather than spending time tracking down each driver or guessing who is nearby when a real-time service call comes in, you can instantly determine which technician to send to the job based on actual location. Reduced fuel costs - Improved job routing translates into reduced fuel consumption. After all, if you can send a driver half a block away to a job site instead of one who is on the other side of town, you'll spend less money on fuel. 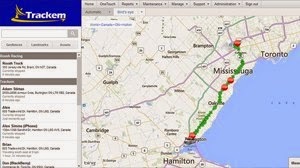 Accountability - When drivers know that company cars are being tracked in real time, they tend to be more accountable. Personal errands and unauthorised trips are less likely with fleet tracking. In fact, you can even set up a "geofence" and generate detailed reports. For example, if each driver has a specific geographic territory, you could examine those geo-fenced territories to ensure that the bulk of each driver's time is actually spent servicing that territory. Similarly, if drivers are allowed to take company cars home, you could use a geo fence to establish the true time the driver arrived at the office. Similarly, job site reports would establish the true time the driver arrived at the first job of the day. This data can be used to validate time sheets. Knowing that fleet tracking serves as a time clock of sorts, most drivers will be more likely to report their true arrival times on their time sheets. Improved safety - Fleet tracking also keeps track of the vehicle's speed and can instantly notify you when a driver exceeds a certain speed. Dispatchers can then contact the driver and issue a friendly reminder to slow down. Meanwhile, this data is recorded and can be used to determine the driving behaviours of fleet drivers. As driver safety improves, you may even qualify for a reduced price on your fleet's car insurance. 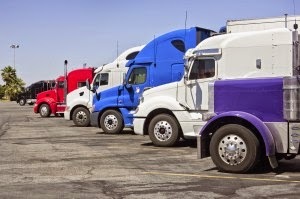 Some insurers may offer discounts for companies that use fleet tracking as well. Business planning - Heatmaps and detailed histories which can be downloaded into Google Earth can help you plan future expansions and new car purchases. For example, heatmaps show common congregation points superimposed over a map. As you notice clusters of activity over time, you may realise that setting up a small dispatch centre in that location may be more cost-effective than routinely dispatching drivers from a far off location. Real-time alerts - You can also set up real-time alerts that instantly notify you when a driver arrives at or leaves a geo fence, exceeds a predetermined speed, or when a car is low on fuel. Improved maintenance - You can also use fleet tracking systems as part of your fleet maintenance system. 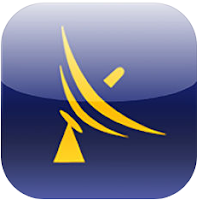 For example, you can view detailed reports covering oil changes, fuel stops, and other related activities. 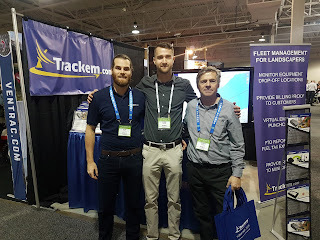 Fleet tracking has come of age, and information about your entire fleet is always just a tap or click away thanks to advances in GPS, satellite mapping, and mobile devices.